1. 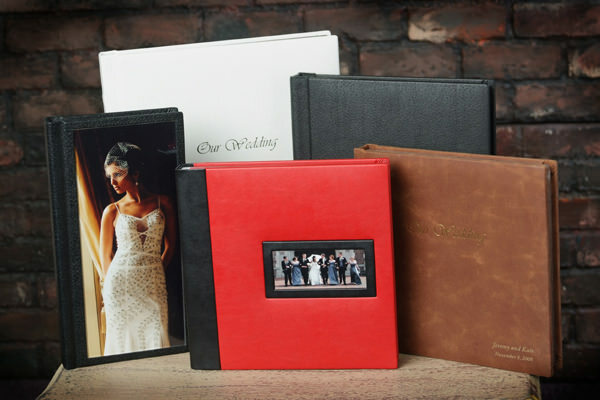 Too many photographers and their clients think of a printed wedding or events album as a relic of the past. 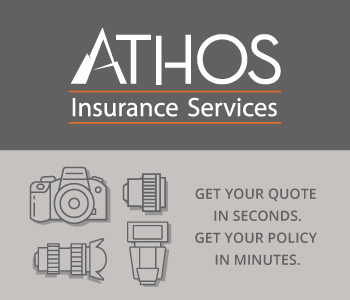 A photo album is often considered an unnecessary expense, since the photos can be saved and viewed in a digital version on digital media and devices. What many forget is that a printed, bound album is likely to last longer than the current digital format because technology changes so rapidly. A couple that retrieves a DVD of their wedding photos from the attic 30 years in the future may discover that the old media can’t be played on any 2042 digital device. Plus, the digital devices of today that were compatible with the old DVD weren’t saved. Today’s smart wedding and events photographers know that the printed album is still a viable and revenue-producing option. With tip #1 and the others in this article, you should be able to join their ranks and sell more of your clients on the benefits and value of having an album designed and produced. 2. Once you’ve convinced your clients that they should also order a printed album of their wedding or other event, you should plan and shoot their events with an album in mind. When you discuss the details of the event with a client, make sure an album is part of the discussion. As you come to understand the client’s personality, style and tastes, you’ll start to think about how you will represent these traits in photos and an album. 3. Is your client Traditional, Modern, Elegant, etc.? Show him or her samples at WeDesignAlbums.com to help determine what kind of album design he or she prefers. Discuss any album design ideas you might have, and then come to a general agreement, which saves plenty of time, and often money, later. 4. An important album specification to review with your client is its size. Explain that it needn’t be vertical; it could also be horizontal or square, such as a 10x10 album. His or her choice will affect both the photos you take and the layout of the pages and spreads. A horizontal or square album often provides you with more creative options. 5. You’re a professional, so you should know how to shoot a wedding or other events. Add some specific techniques or subject matter, however; so you’re assured of having more than enough, and the correct, shots for the album. It’s important to have a big selection of images that, when presented on a succession of album pages, would tell the story of the event. This, of course, is part of your planning and discussion with your client. Many wedding and events photographers even create a checklist from which the client selects the images that absolutely must be shot. Such a checklist is a good document to have with you during the shoot, so you know you didn’t miss any images the client expects to see. Use the continuous shooting mode to capture a sequence of photos that could be presented together on a page. Shoot with a wide-angle lens and try some creative cropping in the camera. 6. Photo prints for an album should be retouched, so they create the best presentation possible. You want your client to look his or her best in the album prints, which can lead to repeat business and referrals. 7. Following the shoot of the event, place the photos on the client’s “must-have” checklist in a separate folder, so you can review this smaller number of photos instead of all them. Let him or her know that you will select a few images not included among the “must-have” photos to fill any gaps in the timeline, so the album tells a complete story. Of course, you’ll want to review all the final images with your client before the album is designed and assembled. 8. Remind your client (and yourself) that the universal design adage applies to photo album too: Less is more. Explain that each spread should be limited to 5 to 6 images. The samples from WeDesignAlbums.com you show your client should help him or her understand this concept. 9. Then, submit the photos to WeDesignAlbums.com, so their people can apply more than 30 years of experience in the wedding industry to create an album you’ll be happy to present to your client; and he and she will be overjoyed to find in the attic 30 years in the future.